Hanoi, the 1,000-year-old capital of Vietnam, is one of the most dynamic capitals in Asia. 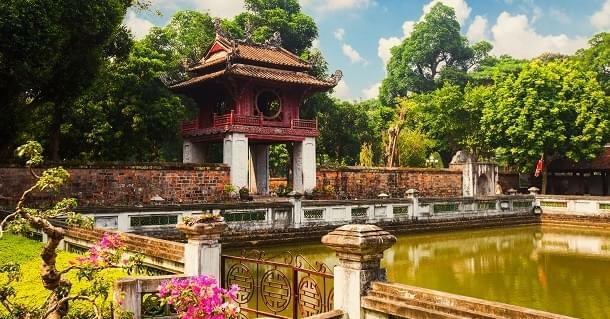 It offers a fascinating blend of Vietnamese, Chinese and French cultures, as well as modern high-rises, centuries-old traditional architecture, sweeping boulevards and quaint narrow streets. The city attracted nearly 2 million visitors in 2014, and ranked fourth in TripAdvisor’s Travelers’ Choice Awards for the Best Destinations in the World for 2015. There are a lot of reasons why travelers keep coming back to this exotic and chaotic metropolis, despite the intense traffic and muggy summers. It has beautiful temples, tree-lined lakes, ancient pagodas and a cuisine that is legendary throughout the world. 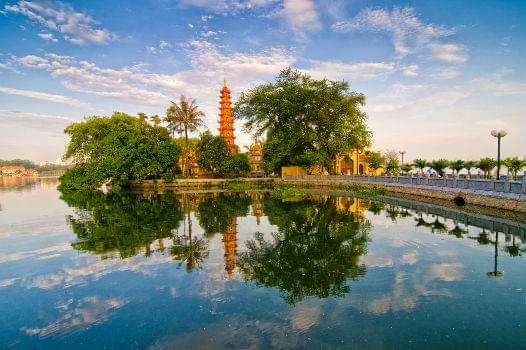 Hanoi is very budget-friendly, which adds to its popularity. A meal in a good restaurant can be as little as $7 to $10, and a room in a four-star hotel usually costs less than $100. Local transportation via taxis or pedicabs is also extremely cheap. The closest airport to Halong Bay, a UNESCO World Heritage Site of immense natural beauty, is also located in Hanoi. The bay has 3,000 limestone islands, many topped with dense rainforest vegetation and surrounded by tranquil jade green waters. You’ll probably want to spend at least a few days at Halong Bay. There are unique accommodations available aboard traditional junk sailing ships, and nearby Halong City has modern hotels in all price ranges if you’d rather stay ashore. There are two ways to get from Hanoi to Halong Bay: by bus or seaplane. The bus is very inexpensive, but the ride can take up to six hours, depending on traffic. Alternatively, Hai Au Aviation offers transit via seaplane from Hanoi Airport. The flight lasts 30 minutes, costs around $275 and offers incredible aerial views of the area. Airlines from all three of the major alliances fly to Hanoi Noi Bai International Airport. This is the largest airport serving the northern part of the country. Award tickets are not hard to find. If you’re flying in economy, you’ll pay the same amount of miles with any of the alliances. If you’re interested in premium class, American offers the cheapest award flights by far. You’ll save at least 30,000 miles in business and a staggering 145,000 miles in first compared to the other alliances.